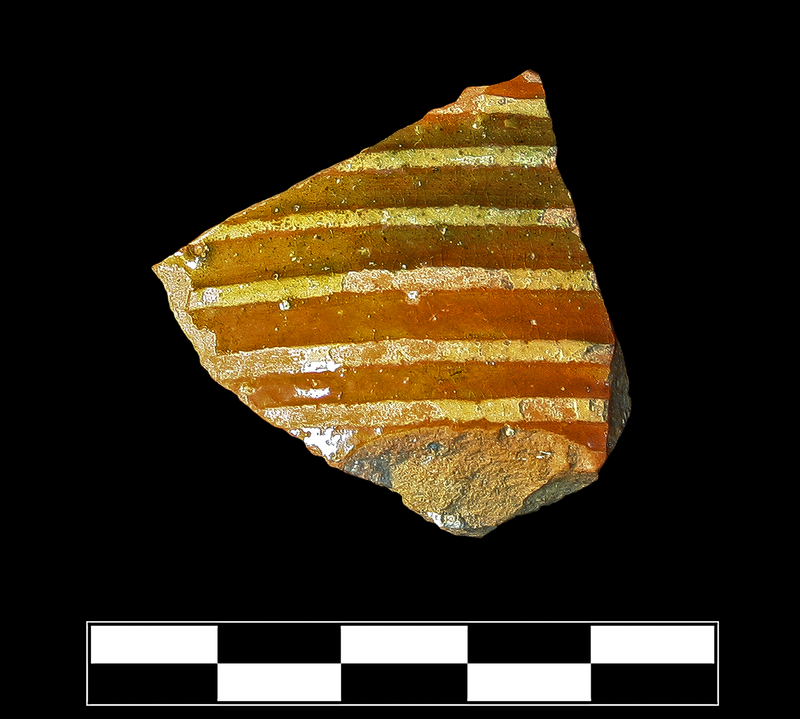 Convex body sherd, somewhat thin-walled: cup or bowl? Clear glaze on exterior and interior. Narrow, close, horizontal bands painted in white slip on exterior over glazed. 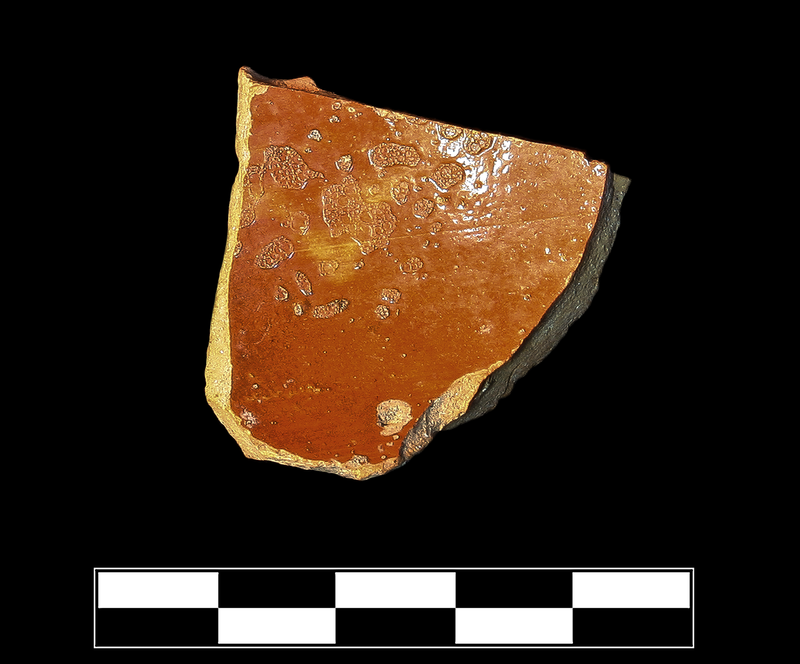 Fabric and surface indicative of plain glazed ware (“brown glaze“) but decoration is unusual. Overall relative refinement for ware points to Middle Byzantine rather than earlier? 5YR 7/2 (light brownish gray). Fabric is soft and somewhat fine with rare, small to medium, angular and subangular, white (lime?) inclusions; thin but distinct brick red biscuit. Somewhat thick, even, transparent lead glaze fired to a rich brown with tinge of yellow and faint splotch of green (added iron oxide and copper oxide), fired hot to show fine craquelure and scattered pinprick to patches of bubbles. Thick, even, white slip painted over glaze to stand in relief. One small body sherd. Slight to moderate, extensive chipping around all edges; painted bands chipping off glaze.